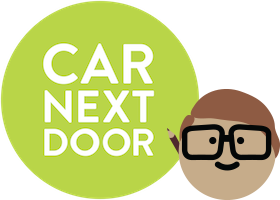 Check the eligibility criteria and learn more about how to join Car Next Door - Australia's neighbour-to-neighbour car share community. Finding the perfect car for your trip, how a trip works, booking a car, cancelling or editing your booking and pricing information. How a trip works from start to finish: instructions for finding the car, getting the keys, returning the car, what to do if you have an accident or another issue, and payment information. Find out if renting your car out is right for you, learn how it works and how much you can earn. Information for current owners: managing your car's profile and calendar, maximising your income, invoices and payments, and dealing with damage, mess and other issues. How the insurance works with Car Next Door, what is and isn't covered, and what happens in the case of damage and repairs. How fuel works for owners and borrowers, how tolls get charged to the right person, and what to do with parking, speeding or traffic fines. Changing or cancelling your membership, updating your details, and invoice and payment information. Inviting friends to join Car Next Door, our review system, rules that keep our community running smoothly, and the new features we've released for our members.